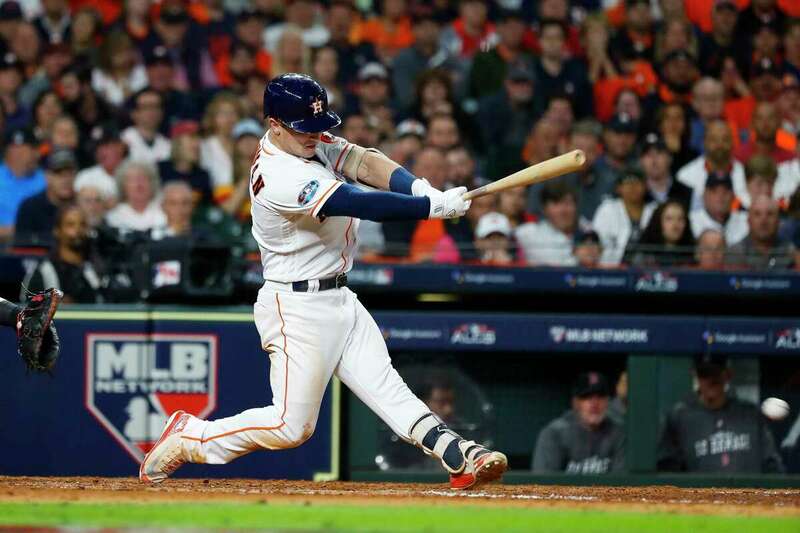 Alex Bregman is an American baseball superstar who plays the defensive infielder position for the Houston Astros of the Major League Baseball. The talented player was drafted by the Astros as the second player to be chosen in the first round of the MLB draft of 2015. He completed his college career with the Louisiana State University’s baseball team. Amazingly, the player is a two-time gold medalist with the United States baseball team. He also won the USA Baseball Player of the Year during his high school career. Learn more about Alex below. The baseball infielder was born on the 30th of March 1994, his birth name was Alexander David Bregman and he was born in Albuquerque, New Mexico. His parents Sam Bregman and his wife Jackie are both lawyers and he was raised along with his two younger siblings – Anthony and Jessica. Alex’s brother Anthony is equally a baseball player and was picked by the Astros during the MLB draft of 2018. His father was a part owner of the NBA G-League team called New Mexico Thunderbirds. Young Alex made his first touch in the game when he was four years old and he went on to become a batboy for the University of New Mexico baseball team. At the time, he was good friends with the Boston Red Sox catcher Blake Swihart. He further enrolled at the Albuquerque Academy where he kicked off his high school career. During his days at Albuquerque, Alex played the role of a catcher for the travel baseball teams. The player led the team to win the state championship in his first year in 2009. The following year, Alex won the Richard W. Case Player of the Year Award and the most valuable player while leading the U16 US National team to clinch the gold medal at the Pan American Baseball Championship. As a junior, Alex got a high school career-high record with 19 home runs. He equally led the U18 US National team to win gold at the 2011 International Baseball Federation Championships. The budding player sustained an injury in his senior season which kept him away from participating in most games of the season. He was also projected to be a first rounder in the MLB draft of 2012 but he chose to complete his college career before joining the pro league. Alex Bregman enrolled at Louisiana State University where he played college baseball with the LSU Tigers. In his freshman year, he featured as a shortstop for the Tigers; thus recording 104 hits as well as 18 doubles, 59 runs, and 52 RBIs in the season. In the end, he was named Freshman of the Year and was named to the All-American team. He has equally received several awards including Brooks Wallace Award as the best college shortstop in the country the same year. During the MLB draft of 2015, Alex Breman was picked by the Houston Astros in the first round of the draft. He was the second player to be chosen overall. Joining the team, the player penned his rookie contract worth $5.9 million in June 2015. He spent his rookie year with the team’s minor league affiliates including Quad Cities River Bandits and Lancaster JetHawks. The following season, he played for the Corpus Christi Hooks before joining the Houston Astros team. The infielder played the third base-shortstop position and was featured in 40 games for the Astros in the 2016 season. The following year 2017, he led the US National Team to clinch the gold medal at the World Baseball Classic held in Los Angeles. Alex also led the Astros to the 2017 World Series Championship where he helped the team to win the championship. In 2018, he got a one-year contract extension worth $599 thousand with the Astros. He also had a record of 31 home runs, 96 walks, and 51 doubles in the season. Although the baseball infielder isn’t among the top earners in the league; he gets a substantial amount of money for his efforts. After penning down his rookie contract, Alex got a whooping sum of $5.9 million signing bonus and in 2018; the Astros gave him a one-year contract extension worth $599 thousand. The player also has a huge net worth of $5.5 million which he majorly earned from his baseball career, endorsements, and other endeavors. The infielder has been outstanding in his baseball career; he has won the hearts of many ladies but has been in very few relationships. Although he isn’t married yet, Alex is currently in a relationship. He is dating a beautiful lady named Hannah Cormier. Hannah is a gorgeous American dancer associated with the Los Angeles Clippers dance group. She has appeared in the reality television show tagged LA Clippers Dance Squad. Before she came to Los Angeles, Hannah was a cheerleader at New Orleans Saints. The amazing pair met each other a long time ago and has been together for a few years. Meanwhile, they have always kept their relationship away from the media eye. We believe they are currently experiencing a blissful relationship and we hope they tie the knot very soon. Weight: Bregman has a body weight of 87 kg.